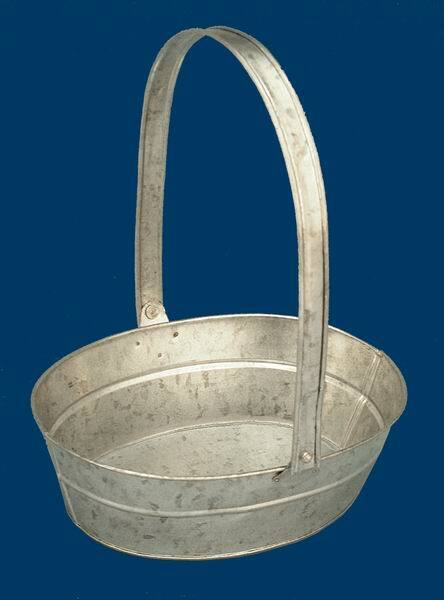 This Oval handle basket is made of galvanized steel. It measures 9.5" long, 7.25" wide, 11.5" tall to the top of the handle, 3" high to the basket. It is available only in Natural. It is absolutely leak proof.